It’s spring break, and I’m recently tenured, and this fine spring weather urges me to take my hobby horse out for a ride. Right now I’m reading Stephanie LeMenager’s Living Oil. 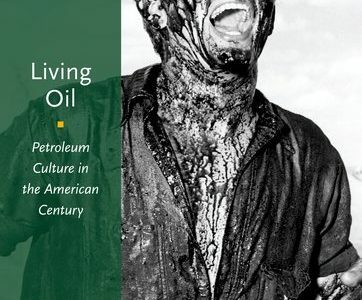 : Petroleum Culture in the American Century It’s a brilliant study of energy politics and the genres of the petroleum regime. There are so many excellent things about it, and the way it talks about things as varied as car culture, the La Brea tar pits, and oil sand proselytism in Canada. She has a preternatural, I’m tempted to say, hydramatic ability to shift gears smoothly from deep time and tough energy meditations to incredibly focused and fine-grained readings of poetry and prose fiction. I love this book, and I can tell I’ll be thinking with it for a long, long time. Historicist nerd that I am, the primacy of definition 2 is, frankly, shocking to me. I wrote a book that, among other things, endorsed the argument that historicism derives from German historicism of the late 18th and 19th century, as the etymology for the OED entry itself notes (“partly after German Historismus (late 18th cent. ; found in sense 2 and, especially, sense 3)”). For me, this raises a crucial question, one I wish I’d asked in my book: is it the case that the term “historicism” was used for most of the nineteenth century, at least by figures other than Coleridge, in a way essentially divorced from its use by the German historicists? That’s what the entry suggests. But if you dig into the examples given for definition two, the confusion becomes easier to understand. It turns out that the first nineteenth-century uses cited for “historicism” are references to a specific brand of Protestant historicism (not to be confused with apocalyptic & evangelical church historicism) that circulate respond to debates over the Oxford or High-Church movement, Puseyism, and Newman’s Tracts for the Times (If you search Google books for appearances of “historicism” before 1870, they are all to these debates). 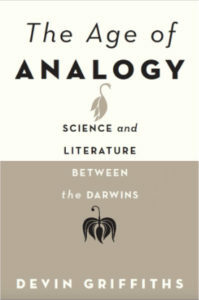 It’s worth asking whether it’s fair to characterize such historicism as simply a “Belief in the importance or value of historicity or of the past.” If you read Newman’s Apologia, it seems clear he believes that his investigation of the history of Christian liturgy and dogma is historicist in a broader and more critical sense, that is, an attempt to examine contemporary Anglican arguments as part of a longer genealogy of religious debate. But the larger point is that the 3rd edition of the OED accurately tracks a shift between 19th-century and 20th-century uses of “historicism,” at the expense (common to genealogies) of suggesting a kind of continuity between these uses. It’s pretty clear that when Popper critiques the poverty of historicism, he’s giving a reading of the legacy of German historicism — not Newman. In a world in which the editors of the OED might care about some ranting English professor, it would be great if they would reorganize the 3rd edition entry so that uses 1 and 3 are primary, and 2 moved into a subcategory as “religious historicism” — though I’m guessing this might violate some house protocols. 1. The attempt, found esp. among German historians since about 1850, to view all social and cultural phenomena, all categories, truths, and values, as relative and historically determined, and in consequence to be understood only by examining their historical context, in complete detachment from present-day attitudes. 2. A tendency in philosophy to see historical development as the most fundamental aspect of human existence, and historical thinking as the most important type of thought, because of its interest in the concrete, unique, and individual. 3. The belief that historical change occurs in accordance with laws, so that the course of history may be predicted but cannot be altered by human will; the resulting attitude to the social sciences, of regarding them as concerned mainly with historical prediction. 4. Excessive regard for the institutions and values of the past; spec. in Architecture, the use of historical styles in design. Hence hiˈstoricist, an adherent or proponent of historicism (in various senses); also, one who specializes in the historical branch of a subject; also attrib. or as adj. So historiˈcistic a.
I think this definition is more accurate, if less inclusive, because it accurately characterizes the relation between modern usages. Considered as a methodology, “historicism” marks a wide and varied set of practices that emerged especially in the nineteenth century and characterized a huge range of historical writing, aesthetic practices, and modes of understanding. The pejorative use of “historicism” — whether by Popper, or in writing about are and architecture, or in the V21 manifesto — is organized through a critique of one particular reading of German historicism, derived especially from critical accounts delivered by figures like Nietzsche and Benjamin. As I’ve separately argued, I think that this critique is generally misread. Certainly, when Nietzsche argues against the uncritical historicism of his peers in his Untimely Meditations, he does it from the vantage of a more critical historicism, an historicism that is “untimely — that is to say, acting counter to our time and thereby acting on our time and, let us hope, for the benefit of a time to come” (Nietzsche 1997: 60, emphasis added). All of which is to say (and here I swing myself into the stirrups) I think ongoing critiques of historicism are already historicist; that is, they take up the critical charge of historicism and play it against a more static, conservative, and aestheticized account of the value of history. LeMenager asks “When narrating the ecologies of modernity, must we choose between contamination and historicism?” (190). This question only makes sense when “historicism” is read as a treasuring of the past that refuses to amend its outcomes, or even to acknowledge the violent, ongoing damage of its effluents. Conversely, any attempt to address these legacies — whether toxic waste, or Anthropogenic climate change, or the aftermath of imperial violence (whether hard or soft) — requires a extended, intelligent, and reparative historicism that seeks to understand how that past came to be in all of its complexity. Living Oil demonstrates this beautifully.